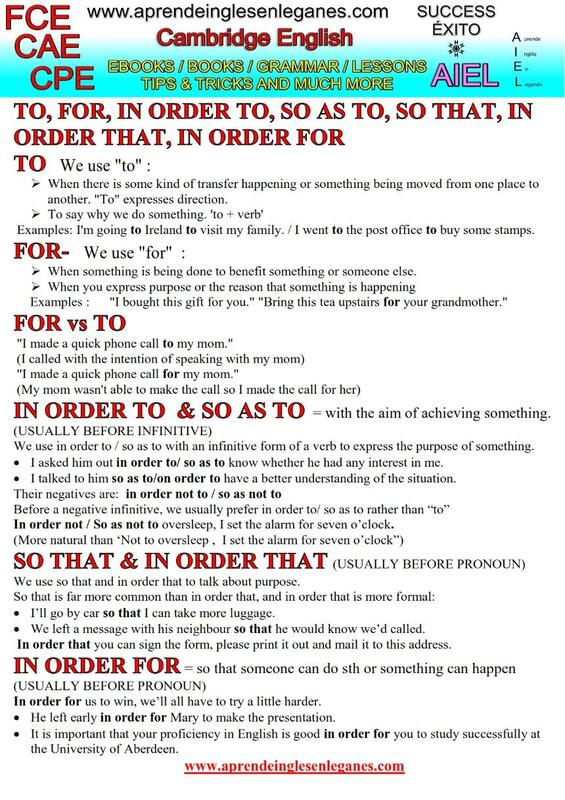 TO, FOR, IN ORDER TO, IN ORDER FOR, SO AS TO, SO THAT, ETC. All these structures express why something is done. They vary in degree of formality (register). 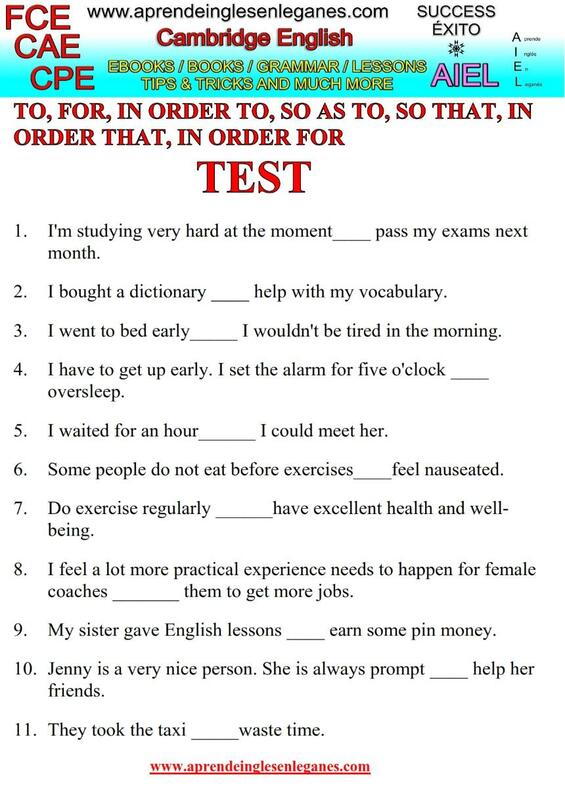 Have a look at the grammar sheet below to learn when to use them and how to use them correctly.